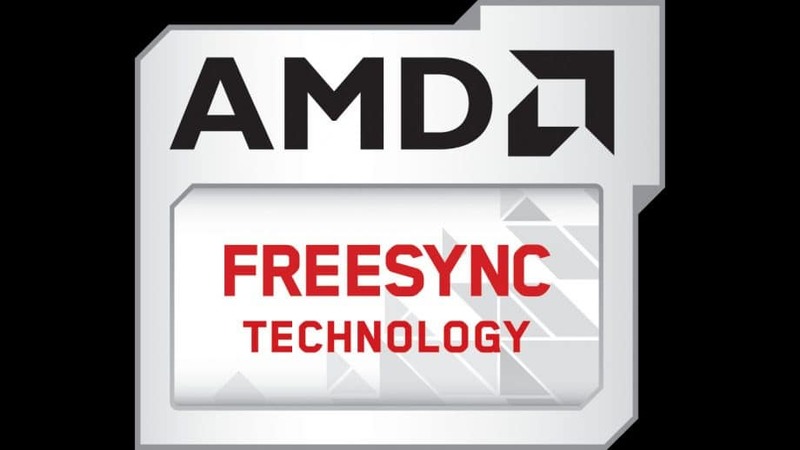 FreeSync is a form of adaptive sync technology developed by AMD. It’s royalty free, which means (as opposed to Nvidia’s G-Sync) that it’s free to use by other manufacturers. 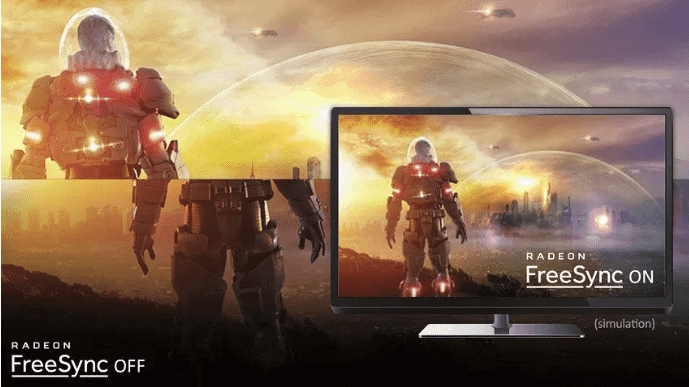 FreeSync is designed to give gamers a smoother gameplay image, by matching the monitor’s refresh rate with the amount of frames the system is outputting, thus eliminating screen tearing or stuttering. FreeSync uses VESA Adaptive-Sync which is a part of DisplayPort Revision 1.2a, which in turn means that it doesn’t cost a whole lot to make a monitor FreeSync compatible. As such you’ll find FreeSync on cheaper, entry level monitors, as well as on high level monitors. Whenever you’re gaming your monitor is usually displaying the image of the game at the rate of its refresh rate . Most ‘casual gaming’ models have a framerate of 60Hz, meaning the monitor refreshes the image 60 times per second. The GPU (which is rendering the game) is sending frames to your monitor though, and when this goes out of whack there can be issues. When the GPU is sending less frames per second to your monitor than what the monitor is refreshing at it will cause the image to stutter, and when the GPU is outputting more frames it will cause screen tearing (see the above image), since there are more frames being sent to the monitor than what it can handle, which means you’re seeing two or more frames at the same time. Screen tearing or stuttering isn’t a major problem in and of itself (some people don’t even mind it or notice it) but it can cause ingame performance issues and is mildly to extremely annoying to look at for most people. 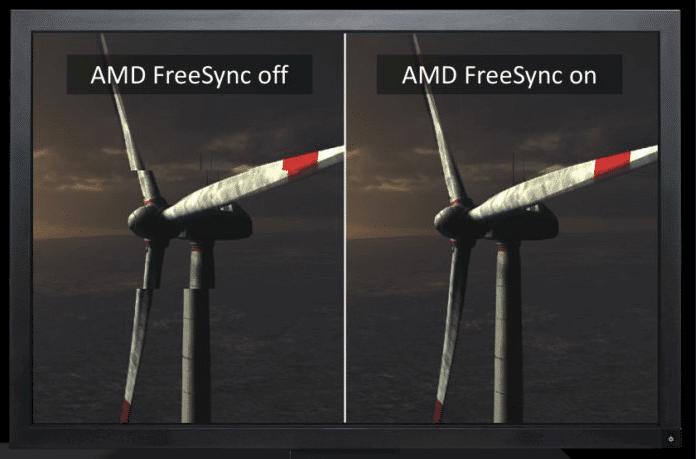 FreeSync eliminates screen tearing and stuttering by matching the framerate of your monitor with the amount of frames your GPU is outputting. This way, the amount of frames that are being put out by your gaming system always matches up with the amount of frames that your monitor is displaying, thus creating a smooth, stutter- and tearing free image. FreeSync works well for the most part as it does eliminate tearing and stuttering very efficiently, though some users report that they see some ghosting (moving objects leaving behind a little ‘trail’) which can be a bit of an annoyance, depending on the person viewing. There’s also the fact that, due to FreeSync’s Open Source nature, you have to be a bit more eagle-eyed when shopping for a monitor. FreeSync only works when between specified frame rate ranges (e.g. between 35 and 90Hz) so if you’ve got a monitor with a very narrow adaptive refresh range you can run into problems if your card can’t consistently deliver frames in that range, as that can cause stuttering and other performance issues. All in all though, FreeSync works well at a very reasonable price point. If you decide to invest in this technology it’s a good idea to go and check out AMD’s website, where they lay out all monitors currently supporting FreeSync, as well as their respective adaptive refresh rates, which can be quite important.